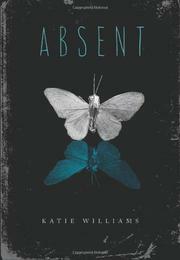 Three dead teens “[s]ettle in for the world’s longest detention” in this melancholy ghost story. Paige Wheeler died at 17 when she fell off the roof of the school during a misguided science experiment. Now trapped on the school grounds as a ghost, Paige spends her time drifting the halls with Brooke and Evan, two other ethereal teens. Paige is troubled by the rumor that she jumped instead of fell, and when she discovers she can inhabit the body of anyone who is thinking about her, she tries to use the ability to clear her name. But many of the attempts backfire, especially when it comes to making her best friend Usha paint a memorial mural of her or getting her “secret” hookup Lucas to admit that he and Paige were together. Paige’s regret that she accepted less than the very best for herself will be a sobering reminder to readers not to take opportunities and relationships for granted. “What if I hadn’t wasted my time—myself—on a guy who was only around for kisses in the trees?” Mostly a moody meditation on adolescent afterlife, the story morphs into a thriller when Paige discovers a vicious secret about one of her fellow spirits, which leads to an unexpectedly transcendent and moving finale.